All teeth have root canals, the front teeth also called incisors and canines have one canal, premolars or bicuspids generally have 2 canals and Molars can have three or four root canals. 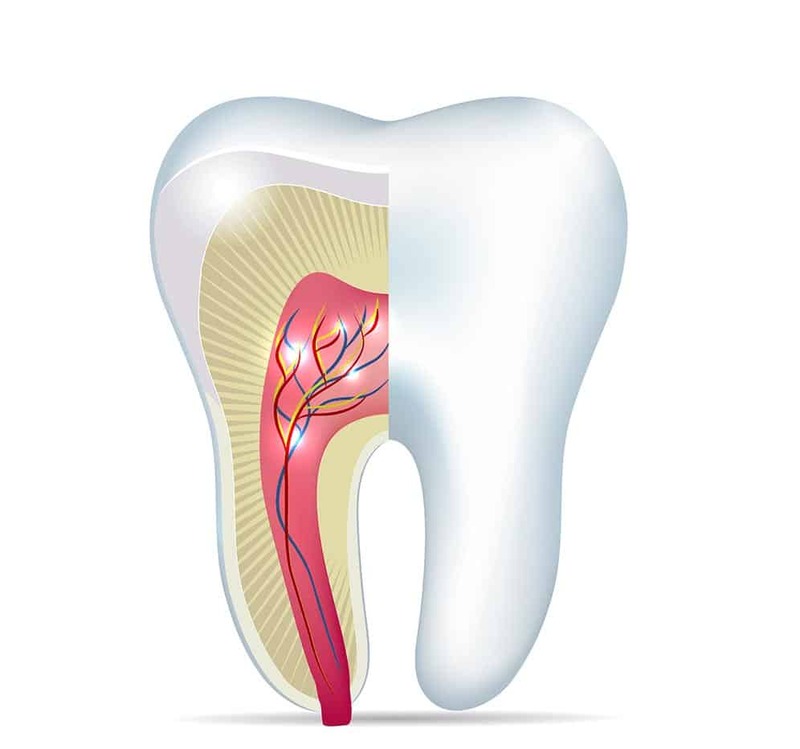 Root canals are made up of soft tissue consisting of nerves, blood vessels and connective tissue they extend from the base of the crown (the crown is the visible part of the tooth above the gum line) to the tip of each root. The pulp plays an important role in the growth, development and health of the tooth; although when the tooth has fully developed it can function with an artificial pulp that is inserted during root canal treatment. 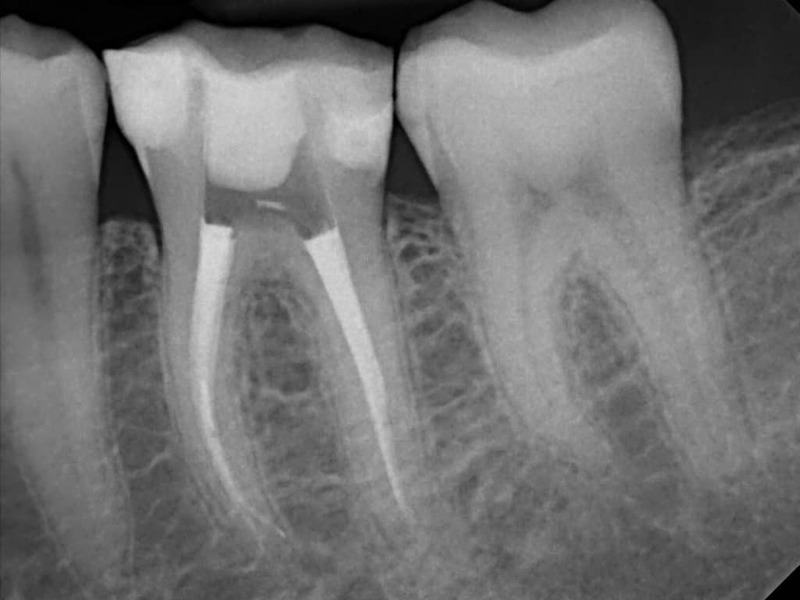 What are the causes of root canal disease? When the blood supply to the pulp is cut off, and cannot be repaired, the pulp dies. The most common cause of pulp death is from swelling of the pulp from infection (from deep decay or a crack in the tooth) or excessive pressure (from clenching or grinding) on the tooth cutting off the blood supply. When the pulp dies, over time pus builds up, initially within the tooth, eventually escaping at the root tip into the bone, forming an abscess; this is often why an abscess is painful, especially when chewing or while eating hot foods. Also known as endodontic treatment it is the process used to save a tooth that has been badly damaged due to disease, decay or injury. On your initial appointment with us we will examine the tooth and take a radiograph. Other pulp tests may be performed to ensure the correct diagnosis and verify the treatment required. 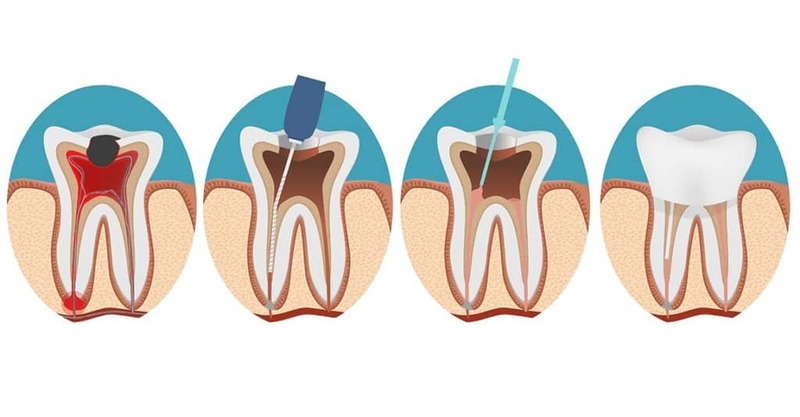 After totally anaesthetising (numbing) the tooth we gain entry to the pulp by making an opening through the crown of the tooth and then using special instruments called files we will remove the inflamed or infected pulp. We then enlarge and shape the canals and clean them with anti bacterial medicines and place a dressing, if you have developed an abscess, antibiotics may need to be administered (only in severe cases).The whole process may take several visits to complete, fillings are placed between appointments, on the final visit to protect the inside of the tooth and to prevent further infection, the root canals are filled and the pulp chamber is sealed and a permanent filling or an artificial crown is fitted.